September 25, 2018: ISDP hosted a delegation of 35 participants from the National Resilience Institute (NRI) of the Republic of Indonesia. The meeting was led by Dr. N. Jenny M.T. 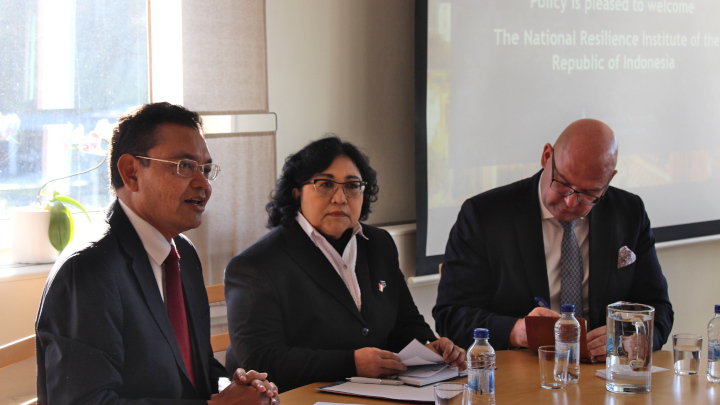 Hardjatno, Director of the Centre for European Studies at the University of Indonesia, Mr Bagas Hapsoro, Ambassador of the Republic of Indonesia to Sweden and Dr Niklas Swanström, Executive Director of ISDP. The two sides discussed issues of mutual interest to ISDP and the NRI, including China’s Belt and Road Initiative and the security implications thereof. The meeting concluded with a Q&A session on various issues related to security in Asia and Europe.